This is Candida esophagitis. Tan-yellow plaques are seen in the lower esophagus, along with mucosal hyperemia. 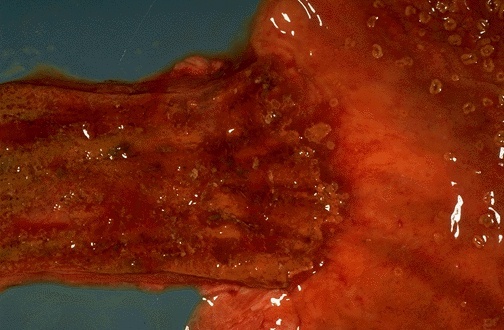 The same lesions are also seen at the upper right in the stomach.